Rapidly-advancing financial technologies are transforming B2B payments. Rife with tedious and time-consuming processes, simplifying B2B transactions has become a burgeoning opportunity for fintech companies. In Q4 ‘2017, First Data acquired payments processor BluePay for $760 million, while JPMorgan Chase acquired payments firm WePay for $350 million and Jack Henry & Associates acquired payments firm Ensenta for $130 million. B2B fintech investments will continue to gain importance, as financial institutions focus on reducing costs and competing better by improving operational efficiency. We examine the key areas in the B2B fintech market that are gaining more importance than others. Often hyped as a game changer, blockchain technology offers a secure means of transaction and can substantially reduce operational costs. From being a distributed ledger to record and verify transactions in cryptocurrencies, blockchain has evolved into a reliable technology that can facilitate secure transactions without any third party authorization. Blockchain can help banks save time and expenses by minimizing middlemen in transactions. R3, the blockchain consortium of over 100 financial institutions, along with trade-finance technology specialist, TradeIX, launched the pilot of their trade finance solution in February 2018. Marco Polo, as the initiative was named, is expected to help the pre and post-shipment trade finance solutions. In April, payments giant MasterCard filed for a patent for a process in which new nodes to a blockchain network can be added expeditiously. The patent is expected to speed up the process at which the nodes update themselves. In October 2017, MasterCard opened up its blockchain to certain banks and merchants as a potential alternative to sending money by swiping cards. Around the same time, IBM had also started processing payments between banks in the South Pacific over its own proprietary blockchain. An efficient mode of streamlining invoicing and approval processes, e-invoicing has moved manual and paper-based procedures online. In doing so, it has accelerated processes and reduced operating costs. As opposed to physical invoices, e-invoices do not have to be organized, routed, scanned and printed. It is easier to process e-invoices than physical invoices, as readily-available business process management technologies can be used to validate details automatically. This would otherwise, comprise data entry and manual validation for paper invoices or those received over email. E-invoicing makes accessing specific transactions very convenient and creates valuable data for future analysis. The global e-invoicing and enablement market is growing at a steady pace. According to Swiss consultancy Billentis, the market will be worth 16.1 billion Euro by 2024. In fact, both the EU and USA have made e-invoicing mandatory starting from 2018. Interestingly, Latin America is leading the change globally while Mexico is emerging as the global leader in terms of adoption of e-invoicing. Uncertain and extended fund transfer timing, lack of transparency about costs, high transfer and conversion costs, uncertainty about exchange rates and transaction fees – these are some of the many challenges B2B companies face when carrying out cross-border transactions. Traditionally, payments have had to be routed through multiple banks, resulting in delays and high fees. Financial institutions, on the other hand, have had to invest in manpower to manage liquidity, foreign exchange risks, respond to customer queries, track status and investigate exceptions. To smoothen the process, fintech companies are gearing up to provide improved, innovative and more customer-centric services and solutions. Blockchain-based payment networks are likely to become popular as they have the ability to help process cross-border transactions within seconds. They can ensure best price execution, remove liquidity and risk settlement, and combine payments messaging with funds settlement. SWIFT, a cross-border messaging network, has launched Global Payments Innovation, a new solution that provides real-time tracking and ensures same-day settlement for the network banks. Simultaneously, banks have also started collaborating with fintech companies to improve their cross-border payment services. Fintech companies are increasingly focusing on developing secure and easy payment management methods for the B2B market. These platforms enable businesses to manage both incoming and outgoing payments centrally, offering flexibility in terms of payment methods, and providing support for multiple currencies. Merchants get varied options including prepaid cards, electronic wallets, mobile wallets, and electronic money transfer. Cash flow management gives businesses the ability to control the date on which payment is made and/or receipt is collected, opt for their currency of choice, and operate internationally with ease and at lower fees. 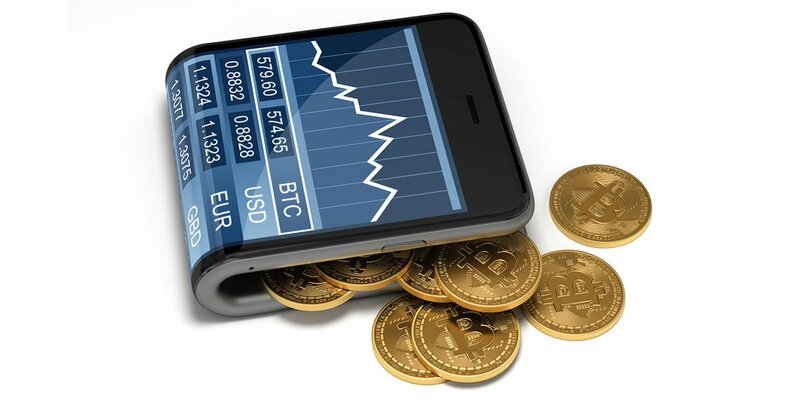 Fintech startups all over the globe have been collecting funds successfully and making inroads in this domain, many including blockchain technology. Numerous such firms are targeting treasury management, by developing cloud-based platforms with the aim to automate B2B payments, better manage cash flow and improve foreign exchange currency transactions. Mumbai based start-up, Kissht, is providing customers with instant credit for digital points of sale (online and offline). Customers can buy various items through flexible EMIs, without credit cards. Another online payment instrument, Simpl, offers a mode of payment that is fast, convenient and improves a client’s product experience. FTCash, headquartered in Mumbai, provides micro-merchants with seamless solutions by enabling them to accept payments through multiple payment instruments. Fintech startups have been particularly active in this area. With the purpose to redefine the lending landscape and break away from the traditional bank-customer relationship, fintechs are employing varied technologies to provide clients with the liberty to choose the borrowing amount and payback period. For example, UK’s alternative finance market grew by 43% in 2016 to 4.6 billion pound from 3.2 billion pound in 2015. Some startups offer chatbot based loan application systems where loans approvals happen in real-time and money transferred to the borrower’s account within a fixed time, irrespective of bank holidays. Collateral-free loans for purchasing mobiles, laptops, jewelry, electronics, etc. are available as well. Fintechs that aim to address the lending needs of SMEs have also received funding in and from different regions of the world. Their objective is to make the process faster and easier, wherein SMEs can submit applications via mobile devices. By integrating analytics to assess creditworthiness, the platforms allow a lender to examine a wide range of data – from the applicant’s present cash flow and bill payment records to social media – to take an informed decision. With the promise to revolutionize business transactions, the B2B fintech industry is expected to gain significant momentum in the coming years. Innovation in the B2B fintech industry is being encouraged and that is apparent from the fact that there has been no dearth of funding for this sector. More banks and financial institutions are expected to collaborate with fintechs to serve their customers in the best way possible. Overall, established financial services firms will continue to leverage fintech and expand their B2B services and offerings.